SKU: 629. 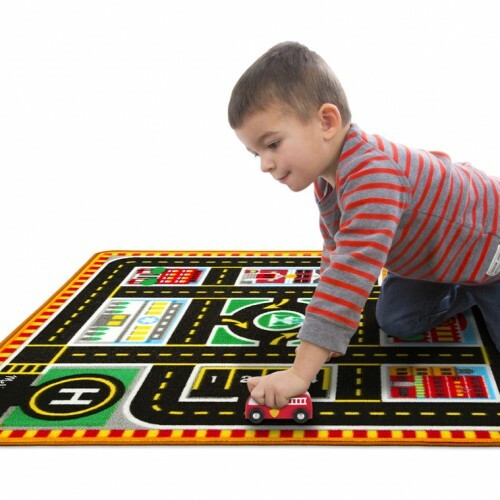 Categories: Fire Trucks & Engines, Playsets & Puzzles. 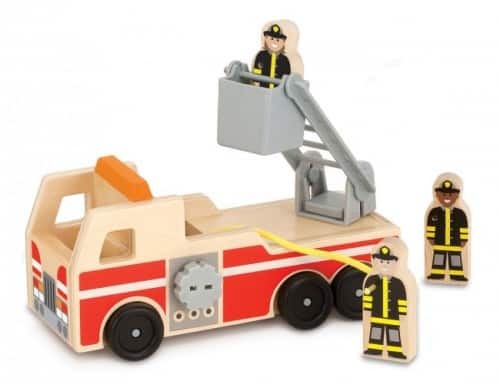 This play set includes a wooden fire truck with roll-up hose and lifting bucket ladder, plus three solid-wood play figures who can ride in the front, stand in the bucket, and even hold the hose. 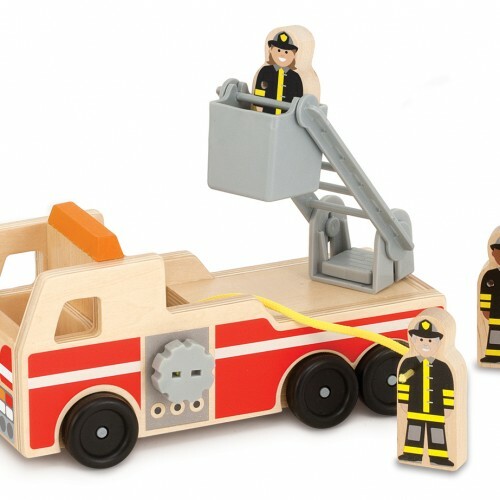 Durable wooden construction and classic styling mean this sturdy play set will be rescuing playtimes for years to come!